1. aluminum foil material is non-toxic, quality and safety. Aluminum foil is made of primary aluminium alloy and rolled through many processes. It has no harmful substances such as heavy metals. Therefore, aluminum foil can be safely contacted with food, and it will not accommodate or help bacteria grow. In most cases, aluminum foil does not react with food. On the market, a considerable number of plastic lunch boxes are manufactured from unknown raw materials, even fake and waste plastics, which makes it difficult to guarantee the quality and reliability. 2. easy heating, no harmful substances after heating. Aluminum foil has high conductivity and can minimize the time and energy related to food processing, refrigeration and reheating. Aluminum foil food packing and containers are very suitable for high-temperature sterilization and heat sealing. Aluminum foil boxes can be heated in a variety of ways. Relevant enterprises have developed supporting secondary heating equipment and packaging equipment for aluminum foil lunch boxes, which can greatly improve the distribution efficiency of catering enterprises and ensure the quality of meals. 3. easy to form, easy to seal and wrap, ensure food hygiene. Aluminum foil has good formability. Aluminum foil lunch boxes and containers can be sealed by using the same cover made of aluminum foil paper or other materials. It is easy to change the shape and wrinkle. It has strong fresh-keeping ability. It can avoid being scattered or polluted in the process of food storage and transportation and significantly reduce food consumption. Waste. For large-scale food delivery enterprises and central kitchen distribution, the auto-sealing equipment developed by the aluminum foil box manufacturing enterprises can be used to improve the distribution efficiency, and the effect is obviously better than that of other materials. 4. strong barrier. After sealing, it can protect the original taste of food and extend the shelf life of food. Aluminum foil, though very thin, has strong barrier. It can completely block light, gas and other substances, improve freshness and protect moisture, and prevent the leakage or mixing of flavor. It can effectively maintain the original flavor and characteristics of the product. Food and pre-packaged food packaged in aluminum foil lunch boxes and containers can realize cold and hot chain distribution, facilitate production and marketing, and facilitate the storage of catering enterprises, restaurants, supermarkets and families, avoid deterioration of products, extend shelf life and reduce food waste. It also indirectly saves a lot of energy and energy related to the production process. 5., it can recycle and reuse efficiently, protect the environment and save resources. Aluminum has high recovery and regeneration, which can be recycled and recycled indefinitely. Recycled aluminum can be used to produce many manufactures. The energy required for the regeneration of aluminium foil is less than 5% of the energy needed for the production of primary aluminium, and the greenhouse gas emissions are 95% less than that of primary aluminium. The aluminum foil lunch box can be easily compressed and easy to be sorted after use, thereby reducing the amount of garbage generated. 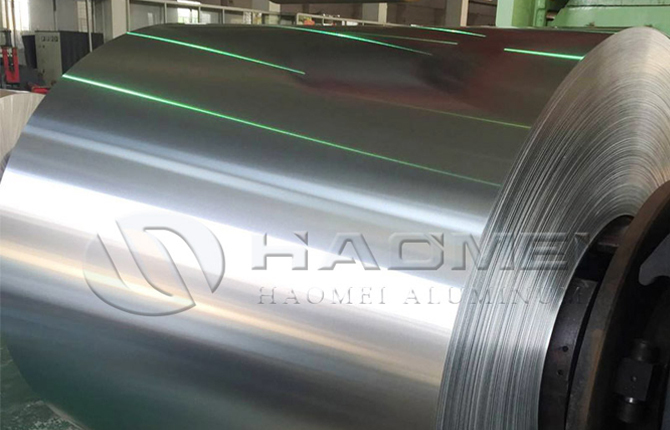 Thick aluminium foil sheet is very thin and light with very few materials. It is the highest packaging material for product packaging. It can replace plastics and paper products, save a lot of oil and wood resources, improve resource efficiency and improve environmental quality. 6. the advantage of cost performance is gradually emerging. With the technological progress of the aluminium industry and the improvement of production efficiency, the production and manufacturing costs of aluminium and aluminium foil are gradually reduced. The cost of aluminium lunch boxes is close to that of qualified polypropylene (PP) plastic lunch boxes, and the cost performance ratio advantage is more obvious. Tagged Aluminium Foil, aluminium lunch boxes, aluminum foil container, aluminum foil containers and food packing, Thick aluminium foil sheet. Bookmark the permalink.